Zultanite | Gemstones from A-Z at Rocks & Co.
Back Home Gemstone Information Zultanite | Gemstones from A-Z at Rocks & Co. 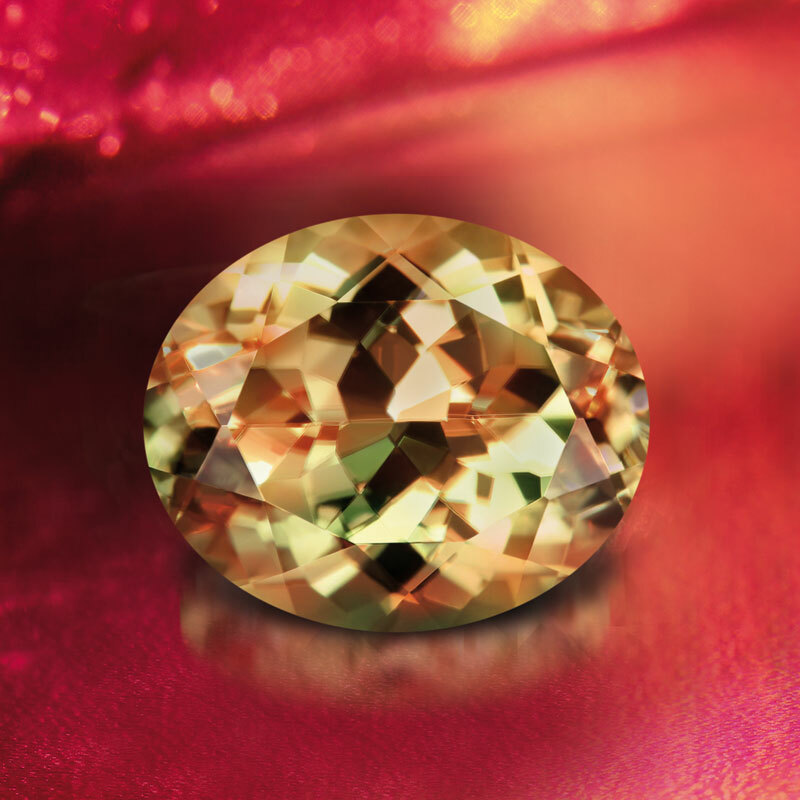 This unique gem already refers to its origin in the name: The Sultans, rulers of the Ottoman Empire, serve as namesake for this miracle of nature, which shows a truly stately face. The gemmological name "Diaspor" comes from the Greek word "Diasporea" for "dispersion". In addition, the Zultanite is also known as "Empholith", "Kayserit" and "Tanatarit". Zultanite is an extremely rare, transparent gemstone from the Diaspore mineral family, which can show the colours yellow, cognac, pink or red. The deeper reds are due to a higher concentration of manganese. Like the Alexandrite, the Zultanite shows an impressive Colour change. High-quality Zultanite is currently mined at only one place in the world: in the heights of the Anatolian Mountains, 1,200 meters above sea level. The mine is located near the Turkish village of Selimiye. The mining of this gem began there in the mid-80s. Although the mineral Diaspore was discovered as early as 1801 in the mountains of the Ural Mountains in Russia, faceted gemstones could not be acquired until the 1970s, plus this mineral was mainly very poor quality. 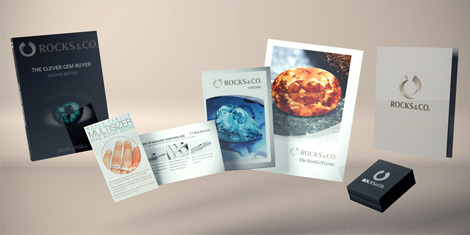 In order to be able to part with this negative evaluation, the high-quality abstracts were finally renamed "Zultanite" and then flourished in the international market. The beauty and fascination of this gemstone lies in its colours, its exceptional brilliance and its chandelier. The Zultanite changes its colour from kiwi green (in sunlight) to raspberry red (under artificial light and candlelight) depending on the light sources. It can also produce khaki green, cognac pink, pink champagne tones and ginger tones. 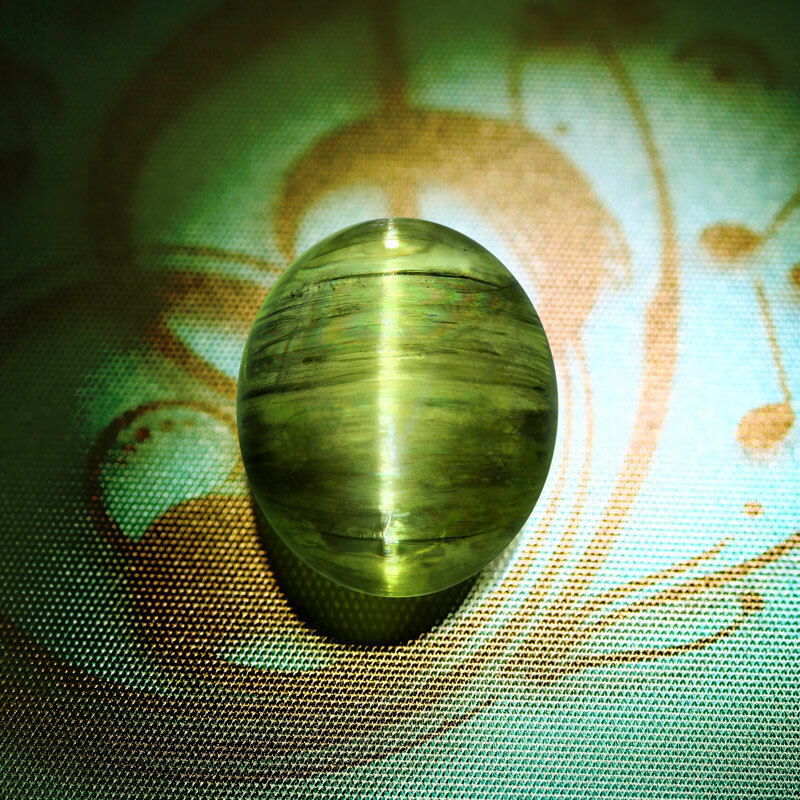 Unlike other colour change gemstones, the intensity of the colour change in this gem does not depend on the intensity of the base colour. Zultanite is perfectly fissile in one direction, making it one of the hardest-to-grind gems in the world. Therefore, it is extremely important for the gemstone sander to align the gemstone during grinding to minimize cleavage and, at the same time, select the correct angle for maximizing the colour change. When grinding, about 98% of the raw gemstone is lost, thus Zultanite in larger sizes are extremely rare. 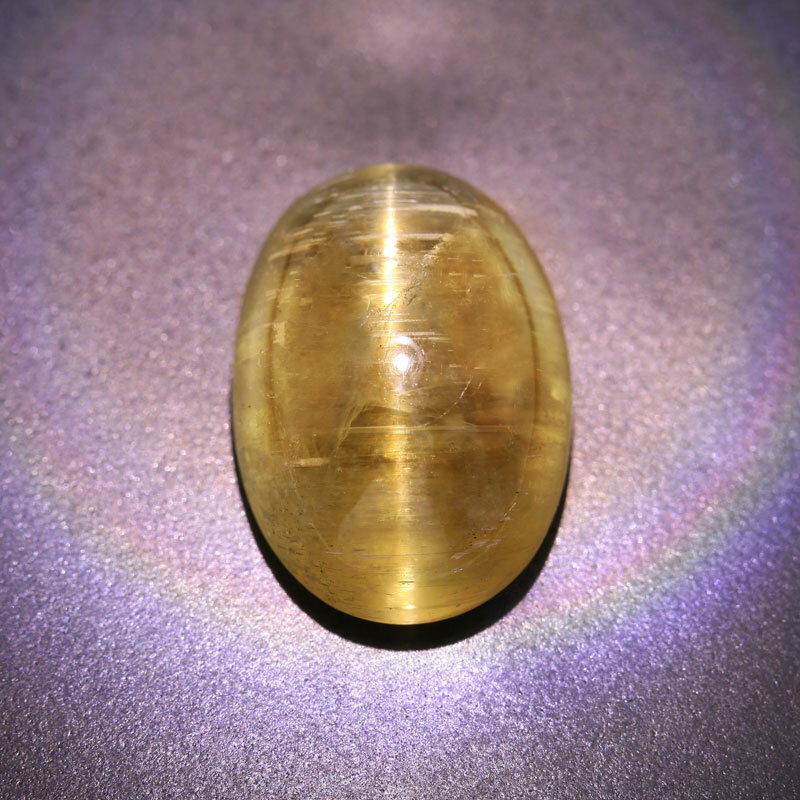 Occasionally, the cat's eye effect, also known as "chatoyance," appears as a single bright strip of light on the surface of the gem, resembling the slit-shaped eye of a cat. This effect results from the light reflection of long, needle-shaped inclusions, which are arranged in parallel. Be sure to protect Zultanite from chemicals, heat, and extreme temperature changes. Always store your Zultanite carefully to prevent scratches and clean it only with mild soap and lukewarm water, in case of heavy soiling use a soft toothbrush under light pressure. After cleaning, rinse your jewellery with lukewarm water and gently dry it with a soft cloth or a decorative cloth. Never subject your Zultanite to steam or ultrasonic cleaning. Summary: First collected in the late 70s, Zultanite is now mined commercially. A rare colour change variety of the mineral Diaspore coloured by manganese, Zultanite hails from a sole deposit, a remote mountainous area in Anatolia, Turkey. Much like Alexandrite, Zultanite’s name also has a royal connection, being named by Murat Akgun in honour of the 36 sultans who ruled the Ottoman Empire in Anatolia in the late 13th century. Noted for its attractive earthy hues, Zultanite’s colour change is not limited to two basic colours, exhibiting a range of greens, purplish-reds and yellows in different light sources. Zultanite changes from kiwi greens with canary flashes under sunny skies, to rich champagnes in traditional indoor lighting and raspberry hues in candlelight.